The world isn't ready for Amazon drone deliveries. 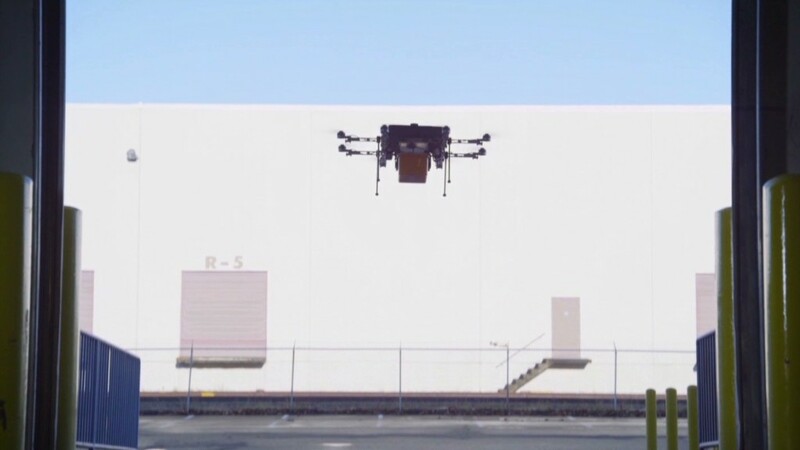 Having robots fly themselves to your doorstep is currently illegal. The sensor technology to avoid collisions isn't there yet. And turning Amazon distribution centers into mini airports is too expensive to make business sense. Amazon (AMZN) CEO Jeff Bezos' plan to have "octocopters" deliver packages to your door in 30 minutes is exciting, but the basic idea is nothing new. Sending fleets of unmanned commercial drones to perform deliveries is something the aerospace industry has been pushing for years. But deploying a fleet of drones is an idea even the nation's largest defense contractors have shelved away as untenable for now. "This is not an easy problem to solve," said Cyndi Wegerbauer, who leads the drone program at defense company Northrop Grumman (NOC). Regulations: The first hurdle is the Federal Aviation Administration, the government agency that regulates the nation's skies. Amazon won't be able to airdrop a single package until the FAA writes safety rules for unmanned aircraft. There's little hope it'll do that anytime soon. The FAA has been reviewing commercial drones since 2009, but it has not given them the thumbs up yet. Even if the FAA approves drone usage by 2015, there are signs that the agency isn't open to self-piloting drones. The FAA's recently published five-year plan says small unmanned air systems must operate "exclusively within visual line-of-sight of the flight crew." Amazon would be limited to operating like your neighborhood remote-controlled plane enthusiast. Tech: Why is the FAA dragging its feet? In part because drones can't be trusted to safely fly in a densely populated urban area on their own. A drone could use sensors to dodge objects, much like a slow-moving robot vacuum cleaner uses lasers to avoid hitting your table. But sensors might not recognize a transparent window. Radar won't notice a power line. And equipping a drone with multiple sensors -- lasers, infrared and more -- also makes it heavier, less efficient and more expensive. As the FAA put it in its recent report: "Sense-and-avoid technology development is immature." Engineers would have to monitor drones at all times to ensure any mechanical issues are caught in real time. Secure, streaming data links would need to be established. A dedicated maintenance technician would have to change a drone's battery every time it returns to base. And airborne deliveries would be impacted by weather, noted Peter Cosyn, who leads research at Belgian drone maker Gatewing. "Science fiction is always ahead of science," he said. "You need something that drives the vision. And that's what this is."